NEWS ANALYSIS: Not satisfied with its success against bigger players, Slack is using machine learning and AI to raise the bar even higher on search and recommendations. While tech giants continue work out the details of their workplace collaboration strategies, upstart Slack continues to grow and is working toward making its product smarter and more productive. Among moves being made by the biggest players in the market, Microsoft recently announced a one-year trial offer for its Teams product to spur customer interest. Cisco has made several acquisitions in the collaboration space, including BroadSoft earlier this year and Accompany this month, and is trying to reorganize around software and services, especially in collaboration. And Facebook is trying to catch up with Slack with its new third-party integrations feature for Workplace, the version of Facebook companies can use internally. Facebook made the announcement at its F8 conference this month. 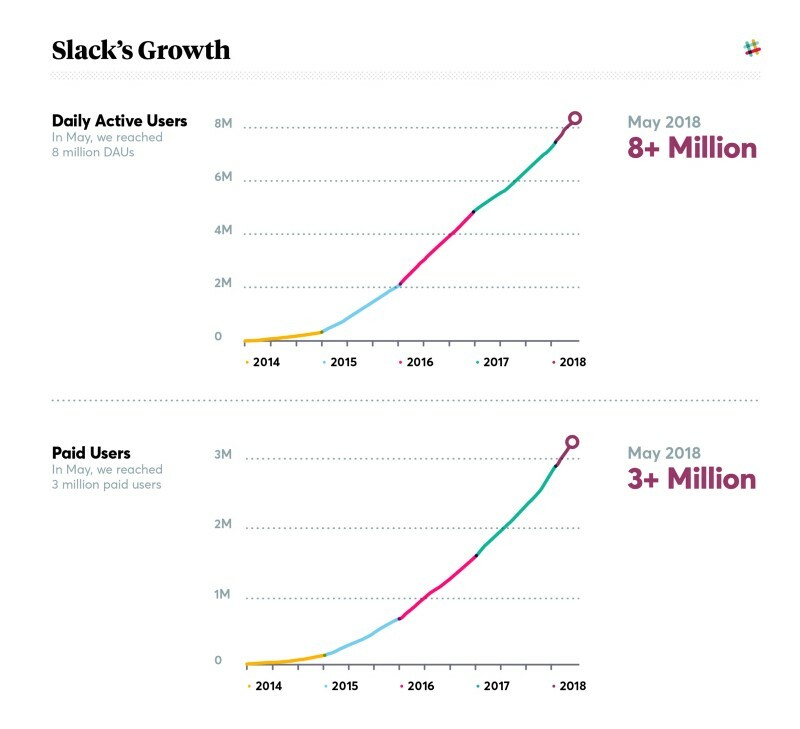 For its part, Slack last week announced that it has hit several customer milestones, such as 500,000 companies using its namesake product; 8 million daily active users, including more than 3 million users using the paid service; and 70,000 teams. That compares to 30,000 businesses using Facebook Workplace and 200,000 using Microsoft Teams. But the company is not taking its growth rate for granted, instead working on Slack's search and push (recommendation) features to improve engagement and productivity, said Noah Weiss, Slack's New York-based Head of the Search, Learning, & Intelligence group, following a Slack customer event in Boston in April. "We are building a searchable log of all conversations and knowledge," Weiss said. "If you get people collaborating and get new depth of engagement, then this should be the most important store of knowledge a company has." Weiss and several of his team are Google alumni, and Slack certainly borrows from what the search giant has learned over the years. Slack results are influenced by keywords, to be sure, but also by how many other people are searching for the same thing, by the relationship of one Slack topic channel to another and by the number of internal corporate "influencers" engaging in the same search subject. Going further, Slack has created personalized ranking models so each person may get different results from others making the same search, depending on the person's role and the context of the search. For instance, an executive in the IT department may get a different set of results for the search of "roadmap" than someone in the marketing department. "That has improved results 30 percent," Weiss said. The means by which Slack is seeking to raise the bar further on search and recommendations is through, not surprisingly, machine learning and artificial intelligence. "AI and ML are means to an end to make the Slack product experience more personalized and more proactive," Weiss said. "Users can spend less time searching and more time interacting with information." With a corpus of nearly 100 billion messages in its search index, Slack has a unique ability to create machine learning models that can predict how likely a user is to click on, reply to or share a message with someone else, he said. Learning from its global search history and user behavior, Slack has built models that can predict individual actions for any search from any user and how likely it is that the person is going to care about a search result, and then return results in the order the user is most likely to engage. The models continue to learn with each new search query and click or engagement, which makes the model perform better with each new click, Weiss said. It has been more than 20 years since Lotus Development Corp. introduced the concept of knowledge management, using its Notes as a platform for searching a corporate repository for just the kind of results that Slack is now offering. Lotus was not alone: Novell GroupWise and Microsoft Outlook each took stabs at finding the right formula for collaboration. What took so long for someone to get the model right? “In an email-centric world, the basic model is everyone's in-box is private. It's hard to get aggregate value out of that," Weiss said. "The public nature of Slack is fundamentally different. All discussions, knowledge, links [and] users are by default part of the public archive within a company." Slack users go so far as to say that Slack has brought more than a productivity boost to their company; it has also bought the people closer together, which is hard for organizations that may have tens of thousands of users spread all over the country or globe. "Slack has become part of our culture, our internal brain," said HubSpot Senior Systems Administrator Ben Becker at the Slack user event. "Culture is integral to our organization, and Slack embodies that. Slack channels encourage an inclusive work culture. We could not have gone global without Slack."